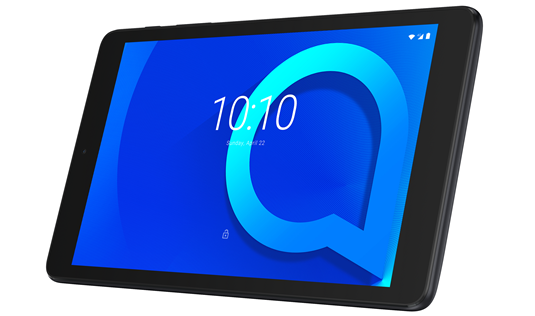 Alcatel have used this year's IFA to introduce their latest affordable 'family-friendly' tablet: the Alcatel 3T 8. “The need for an all-around tablet that can bridge the work-life divide while remaining in reach of everyone is clear,” said Stefan Streit, General Manager of Global Marketing at TCL Communication. The new 3T runs on Android Oreo: Go Edition and boasts an 8-inch display, 4080mAh battery and 4G connectivity. Alcatel are also emphasizing the aesthetics and form-factor of the piece, citing a weight of 279 grams and slimness of 8.2mm. The Alcatel 3T 8 will also come integrated with a variety of 'Family Care' features, including Kids Mode, Eye Care Mode and a robust Bumper Case, which is sold separately. Unfortunately, we're still waiting to hear more about the processor, RAM and storage specs of 3T. Regardless, the company say that the Alcatel 3T 8 will be available in Australia "soon" for under $130.